I'm excited about all of the great musical events coming up! I've picked out the repertoire for my guest artist recital at Howard College in Big Spring, Texas and I'll also be teaching and performing a recital at a clarinet camp at Northeastern State University in Tahlequah, Oklahoma. I'll also be performing concerts with Dallas Symphony Orchestra, Las Colinas Symphony, and Monroe Symphony this spring. I also just finished concerts with Abilene Philharmonic, Monroe Symphony, and the Midland-Odessa Symphony. While in Midland, I went sand dune surfing! I didn't even know this existed but it was a lot of fun. 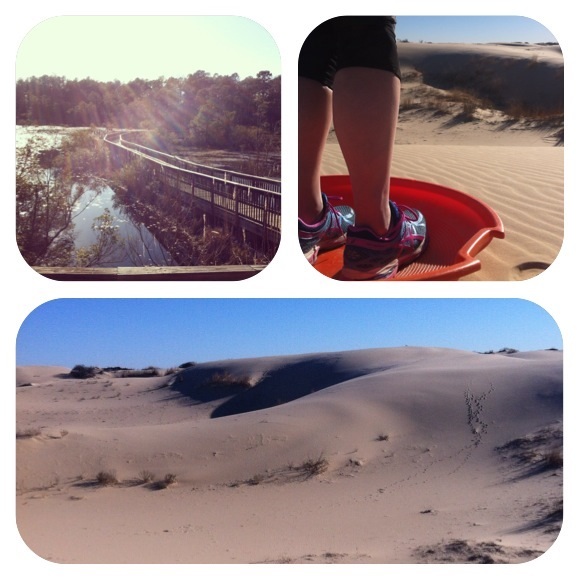 Running in Monroe and sand surfing outside of Midland.